Did you know that gum disease happens five times more often in dogs than people? Sounds pretty dismal, right? Well it doesn’t have to be — with a quick daily brushing you can help prevent many dental issues from developing. Brushing your dog’s teeth isn’t the funnest activity in the world, nor is it going to be the highlight of your day, but it isn’t that bad — I promise. To put it in perspective I’d rather brush my dog’s teeth 20 times than clip her nails once. Whoever invented meat flavored doggie toothpaste (yeah they exist, and there’s a wide variety to choose from on amazon) did us all a huge favor. Tip: If your dog isn’t used to having their teeth brushed, or if you’re not sure where to begin check out this quick guide to get started. Oral health is often overlooked when it comes to taking care of our dogs, yet it’s such an important aspect to their overall well-being. I certainly didn’t pay much attention to my dog’s teeth until Laika started developing a lot of tartar buildup at a young age. When she was a year old she was already showing the early signs of dental disease. I didn’t believe it when our vet pointed it out, but sure enough her teeth were already pretty rough. I brush Laika’s teeth every day because she’s apparently a plaque building machine. Because she accumulates so much of it I made a habit of brushing her teeth every evening. That works for us, and it helps keep her teeth under control. You know your dog best, and if you can’t fit in a daily brushing, or if your dog doesn’t seem to accumulate much plaque, do it a couple times a week instead. Daily brushing doesn’t guarantee that your dog will never have dental problems, but it can prevent the majority of them. When it comes to oral care a little prevention goes a long way. You can help prevent serious issues like periodontal disease from developing by taking a few extra minutes each day to brush your dog’s teeth. Here’s the benefits of brushing your dogs teeth everyday. Did you know this little booger accumulates plaque like crazy? Well she does, and that’s why we’ve made daily brushing a habit. Now it’s not exactly fun and exciting, but it’s not too bad once your dog is used to it. Meat flavored toothpaste is a big help indeed. The biggest benefit of brushing your dogs teeth everyday is preventing the buildup of plaque and tartar on their teeth. Just like us, daily brushing is recommended to help prevent dental issues from developing. And the only scientifically proven way to decrease the buildup that causes most dental diseases is by brushing your dogs teeth regularly. Plaque is a sticky substance that forms on your dog’s teeth after eating. As plaque accumulates and begins mixing with saliva and bacteria it hardens and turns into tartar. And when it comes to teeth tartar is the real bad buy. If left intact tartar can spread under the gumline, leading to gingivitis and periodontal disease. Over time periodontal disease causes the gums to pull away from the teeth, leading to many dental issues such as irritation, swelling, infection, loose teeth and bone loss. The good news is that by brushing your dog’s teeth everyday you can help prevent tartar from forming on your dog’s teeth. It takes approximately 36 hours for plaque to harden and turn into tartar. So brushing daily removes plaque from your dog’s teeth before it has a chance to harden and form tartar buildup. If you can’t fit brushing your dog’s teeth into your schedule once a day twice try doing it twice a week. When it comes to oral care prevention is key. Once plaque has hardened into tartar it’s really hard to remove, and often calls for a professional dental cleaning. 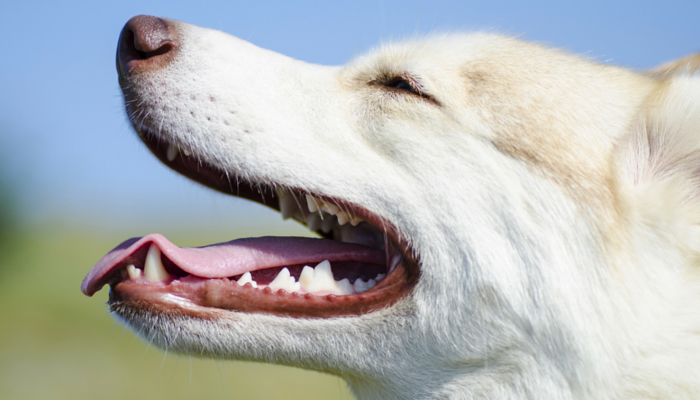 Dental health isn’t necessarily the first thing we think of when it comes to keeping our dog healthy, but it’s such an important part of their well-being. Ignoring dental issues, even if they seem minor, can lead to serious health problems. While some minor gum inflammation and other symptoms of periodontal disease may seem relatively minor keep in mind they do cause discomfort. When they’re left untreated they do progress and can end up causing tissue and bone destruction. 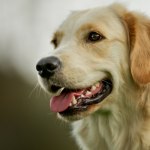 Untreated dental problems in dogs lead to serious health complications including liver and kidney problems. In severe cases they can lead to diseases such as sepsis, bone infections and liver abscesses which can can be fatal. By brushing your dog’s teeth everyday you can help cut down the risk of your dog developing serious dental issues caused by periodontal disease. And by checking your dog’s mouth everyday you can catch any problems or changes early and have them checked out by your veterinarian. One of the biggest benefits of brushing your dog’s teeth regularly is that you can catch dental problems early. The majority of dogs are good at hiding pain, and that includes any discomfort they may be having in their mouth. 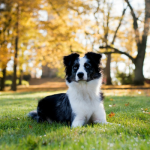 Their natural instinct is to hide pain, which is why it’s important to keep an eye out for any changes in their behavior if you suspect your dog is in pain. Since your dog isn’t likely to let you know that they’re experiencing dental pain it’s important to keep an eye on their mouth and teeth. By brushing your dog’s teeth everyday you’re not only preventing harmful buildup from developing, you’re also able to spot any changes early. If you do notice any changes in your dog’s mouth such as bleeding gums or loose teeth make an appointment with your veterinarian to have it checked out. 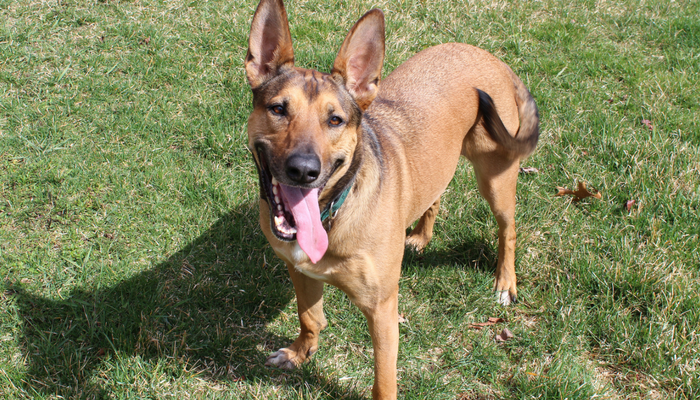 Roughly 85% of all dogs over the age of 4 have periodontal disease. You can cut down on the risk of your dog developing the disease by cleaning their teeth everyday. Do you brush your dog’s teeth everyday? If not you’re certainly not alone. The majority of us don’t, and many of us (my former self included) underestimate the importance of our dog’s oral health. By brushing your dog’s teeth everyday you can help prevent the buildup that leads to most dental issues and diseases. I know sitting down to brush your dog’s teeth isn’t something that makes you jump for joy — but what if I told you it can save you a lot of money in the long run. Now I’m not saying that brushing your dog’s teeth will prevent any health issues from arising, but you can catch them early. By brushing your dog’s teeth everyday you can prevent and detect dental problems before they get serious. When left untreated dental issues in dogs lead to major health problems that cost a lot of money to treat. On top of the costs associated with treating serious issues caused by periodontal disease a teeth cleaning alone can be quite expensive. Because professional teeth cleanings usually require anesthesia for dogs it can be quite costly. On average you can expect to pay at least a couple hundred dollars to have your dog’s teeth professionally cleaned. 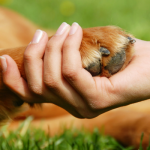 That cost can rise if your dog is large or if a deep cleaning or any extractions are needed. We all love puppy breath, but when it comes to adult dogs — well that’s another story. 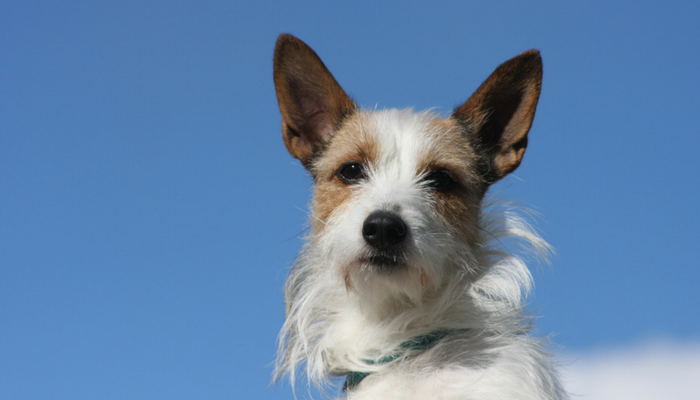 Some dogs have pretty bad breath, and that’s often caused by dental or gum disease in dogs. By brushing your dog’s teeth everyday you can help prevent buildup on your dog’s teeth, and you’ll also be able to keep their breath smelling fresh. If your dog has really bad breath, or if there’s any sudden changes in smell consult your veterinarian. In some instances bad breath in dogs can be a sign of medical issues such as diabetes and kidney issues. 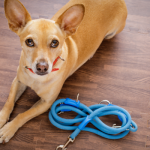 There are a lot of doggie dental products on the market, but unfortunately not all are proven effective. And you’ve probably heard that dry dog food, aka kibble, helps reduce tartar buildup — well unfortunately that’s not true either. If you’re interested in getting some products that have been shown to help reduce buildup check out ones that have been approved by the Veterinary Oral Health Council (VOHC). Their list contains products that have been shown to help reduce either plaque and/or tartar. You know your dog best, and as with anything you do on a regular basis you’re going to notice when things start to change — and this includes dental issues. Periodontal disease can be prevented and treated when caught early. When you brush your dog’s teeth everyday you’ll be able to spot and take note of any changes in your dog’s mouth. If you notice anything unusual make an appointment with your veterinarian before it becomes serious. Some dogs are easier than others when it comes to brushing their teeth. And when it comes to plaque and tartar buildup some dogs accumulate more than others. If you’re not comfortable brushing your dogs teeth you can opt to have them professionally cleaned. While a professional teeth cleaning can be costly it can save you money in the long run by preventing health problems associated with dental disease. For most dogs an annual dental cleaning is recommended. Most veterinary clinics offer dental cleanings, and routine cleanings generally take 45 minutes to an hour. Do You Brush Your Dogs Teeth Every Day? How often do you brush your dogs teeth? Does your dog love all those meat flavored toothpastes as much as mine does? Do you have any favorite doggie dental products? Disclaimer: I am not a veterinarian. This article is intended for informational purposes only. My husband and I just got a new dog and we have been wondering if we should brush their teeth while they are still young. That is great that if we brush their teeth that it will help prevent the majority of dental problems that dogs can have! I would like our new member of the family to stay healthy! Thank you for the information! I’d say the sooner you get your puppy used to brushing the better. Congrats on your new pup! I clean my dogs teeth about twice a week and so far there were no major problems. However it was quite difficult to train my dog to relax while cleaning. I agree about brushing dogs’ teeth. I found out the hard way with two of my older dogs. They had to have some teeth removed to avoid health problems. Now, I brush all my dog’s teeth daily. It’ll cut down on avoidable vet visits. Plus, their breath is better. It’s good to know that regular dental care is essential for keeping your dog’s breath fresh and their mouth healthy. I didn’t realize that dogs need regular dental care at all. I”m looking at getting a dog in the near future, and I’ll be sure it gets regular dental cleaning to keep it healthy and happy.